← Mutiny Aboard The Fish Out Of Water! It is now time to talk about what’s happened to Dr. Garlic recently. On second thought, I’ll take a moment and write down a bit about my Christmas. I had a great time visiting with friends who came over. Us kids received Cole’s Tread Assault for Christmas, so I let our eleven-month-old guest play with Skales and Cole. I watched him carefully so he wouldn’t eat them. 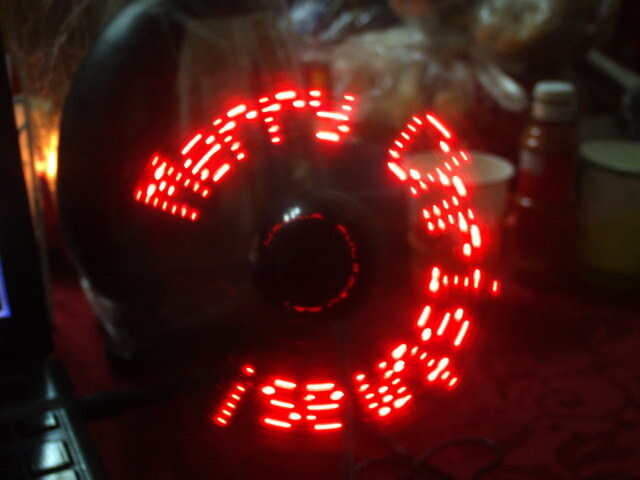 I also received an awesome programmable fan. The fan-programming software had a few typoos, but it still was really fun to make my fan say stuff. Now on to the Dr. Garlic stuff. 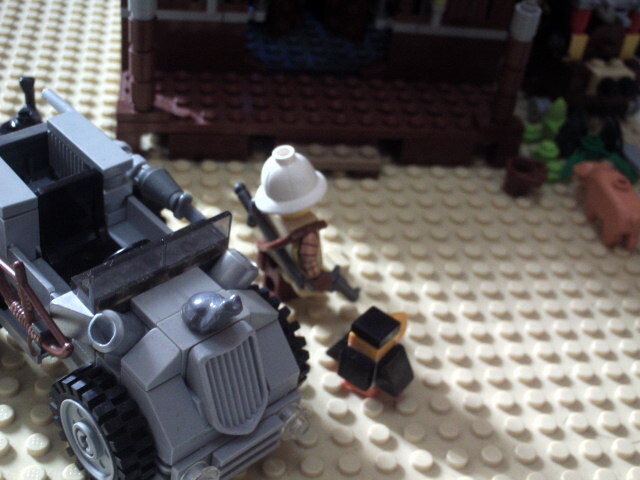 After leaving The Fish Out Of Water, he drove through the desert and soon came to the western town of Convergence Point. Dr. Garlic drove up into the center of town and parked his car in front of a saloon. Hoping to get a cold drink of water, he entered. Woo hoo! I’m in the West! After I came to the Convergence Point, I headed over to the saloon, hoping to get a cold drink of water to quench my mighty thirst. 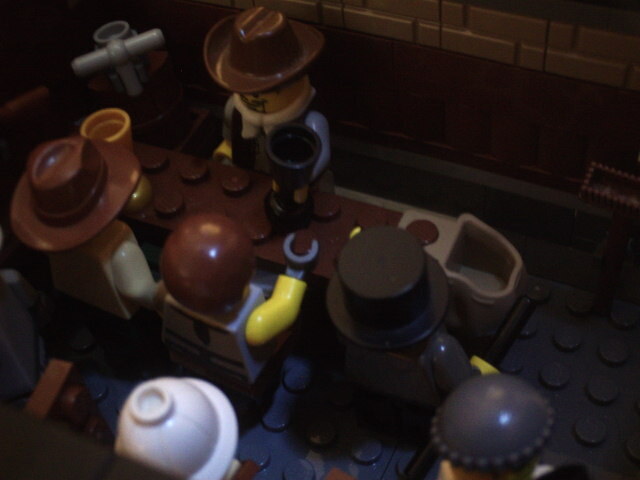 I had an unpleasant encounter with Quarrelsome Bert and the saloon owner told me to head upstairs. Once there, I met another adventurer named Nob. When I mentioned that I was an adventurer, he exclaimed, “Hey, I’m an adventurer too!” He then asked me all about my adventures, and I related the highlights of them to him. They were fresh out of water, so I said I would have an iced tea; Nob ended up ordering a lemonade. Our drinks arrived shortly, and we continued talking about our adventures. Nob told me of his adventures in the rainforest, and his recent blacksmith shop experience. The Marauding Red Night Goblin! We talked late into the night, when a pig began squealing downstairs. (Nob explained later that it was his pet pig, Hamlet.) There was a splash as something landed in Nob’s glass. 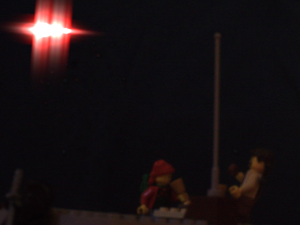 Suddenly there was an uncanny red glow in the sky and evil black rocks started raining down upon the town! Seeing our surprise, the red glow began cackling, “HO HO HO!” even as it continued sending the rocks down at us. We all ran outside. Nob and I didn’t join in since we had no idea what we were fighting. Besides, a single shot from one of my plasma pistols probably would have killed it. Quarrelsome Bert had an elephant rifle and let out war whoops basically the whole time. Eventually some guy in jail clothes managed to hit the vile goblin, causing it to retreat, but not before the group had all been thoroughly pelted with what turned out to be coal. 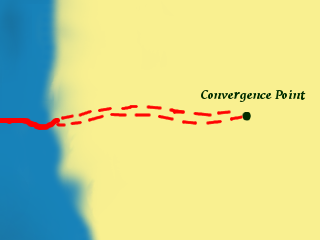 Convergence Point, a happy place. When we returned to the saloon rooftop, Nob and I discovered some candy canes in our pockets, which we ate as we talked over the events of the night. Anyway, I ought to get some shut-eye. It’s two o’clock now, but I just had to write this stuff down while it was fresh in my mind. Well, thanks for reading, everyone! Leave your comments below and come back next time for more Dr. Garlic adventures at Convergence Point! Hey, Peter! Great post! I just want to say that we have arrived safely in USA and I am enjoying going on YouTube to watch your videos without the VPN!! ‘Quarrelsome Bert’? That’s hilarious. Glad to hear that you got to America safely!